Turns out that we should be more fearful of a man with a history of crimes against humanity who has immense power than powerless refugees with no criminal record. In a surprising twist in the debate over the medical transfer bill, an unclassified submission from the Home Affairs Department has warned that having a man personally responsible for destroying the lives of thousands of refugees act as the country’s Prime Minister poses a serious threat to Australia’s national security. 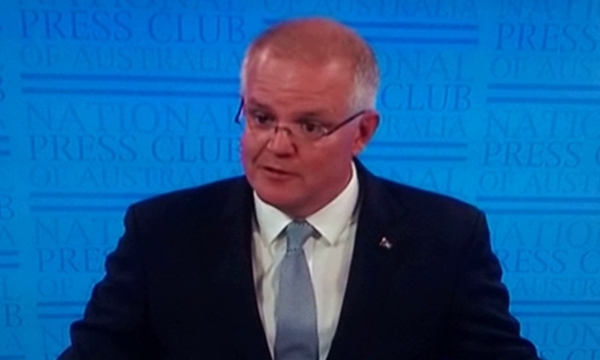 Last week Prime Minister Scott Morrison warned the public that the so called Phelps’ bill undermined the government’s ability to reject someone coming to Australia due to their criminal history. Apart from this statement being patently false, according to Home Affairs, the greater concern is that Australia has already let a man with a long history of violating international law into the country. In fact, incredibly, this grave security threat now holds the highest office in the land. While the alarming news comes as a shock to many Australians, security services have assured the public that this threat will be neutralised by May at the latest.